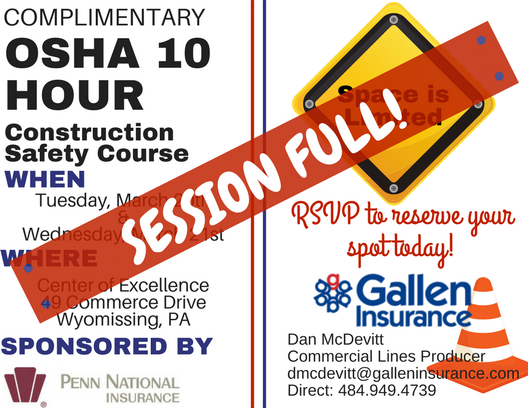 Our OSHA 10 session is full!! We plan to add another date in the coming months. Contact Dan McDevitt to be added to the event list for the next session!